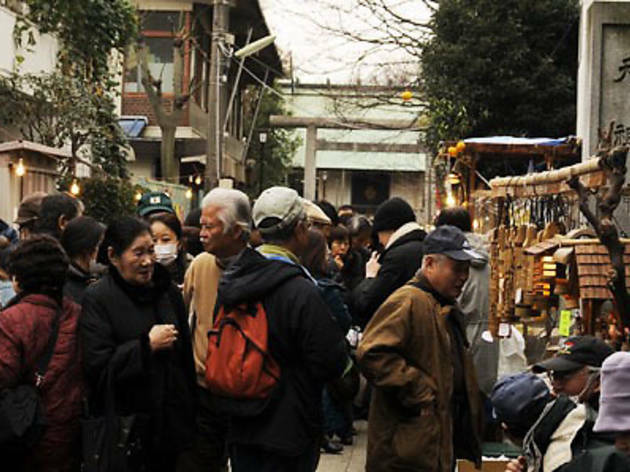 Around 700 stalls line the street during the annual Setagaya Boroichi, a venerable flea market that's been going on for more than 400 years now. Held twice a year – on December 15-16, and again on January 15-16 – the event attracts tens of thousands of visitors, making it one of the highlights on Setagaya's yearly calendar. This one is notable for including the 'Daimyo Gyoretsu', a parade of people in Edo-era garb that only happens once every five years. 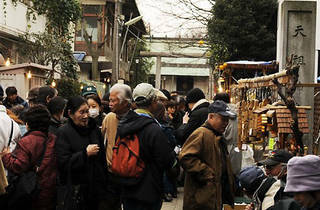 The main area of the market is along Boroichi Dori, a street which centres on the Setagaya Daikan Yashiki, the old, thatched-roof local magistrate’s residence. We’d recommend hopping off the train at Setagaya Station on the Setagaya Line, walking along Boroichi Dori, and then leaving from Kamimachi Station. The Setagaya Line is a light railway, and tickets are bought either when you get on the train or as you enter the platform, so you’ll have a smoother trip if you get the fare ready beforehand (¥140 for adults, ¥70 for children). And if you don't mind the long lines, it's worth sampling one of the market's popular daikan mochi rice cakes – the Boroichi's de facto official food.